When you hear Barbour, you think ‘wax jacket’. And vice versa, so closely are the two interlinked. Already renowned for its fabulously outdoorsy autumn/winter collections, Barbour set its sights on considerable summer success with its SS15 campaign. Tasked with showcasing its range of stunning summer fashion, Digital Visitor was asked to create and deliver a social media campaign worthy of one of Britain’s most recognisable brands. Using a groundbreaking new Facebook campaign to maximise engagement with fans, our social media teams succeeded in delivering an uptick in interest around Barbour’s SS15 collection and driving data capture for future brand communications. Dubbed the ‘Seasonal Styler’, our Facebook campaign posed fans with a series of simple questions about their fashion preferences. To encourage as many entries as possible – over 16,000 in total – entrants were given the opportunity to win ‘A Classically British Barbour Weekend’, complete with food, luxury accommodation and outfits. 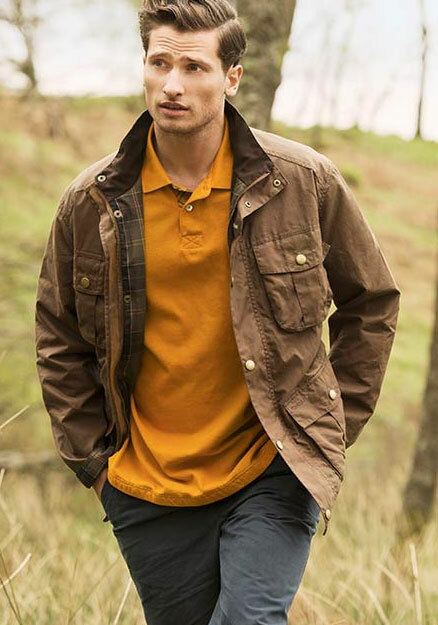 Not only did this approach promote the collection by exposing fans to a range of Barbour pieces, it enabled the targeted capture of over 15,000 new emails and a better understanding of customer preferences. In support of the main Facebook campaign, our digital teams ran a series of optimised Facebook ads and leveraged blogger outreach to amplify the potential organic and paid reach of the campaign. Capitalising on attractive images and compelling copy, our ads achieved a high CTR to generate a paid reach of nearly 1 million and deliver a fantastic ROI. In using a cleverly and creatively designed Facebook campaign, alongside highly-targeted ads and blogger outreach, we succeeded in promoting Barbour as a brand to be worn in summer as well as winter and capturing a greater audience for future campaigns.